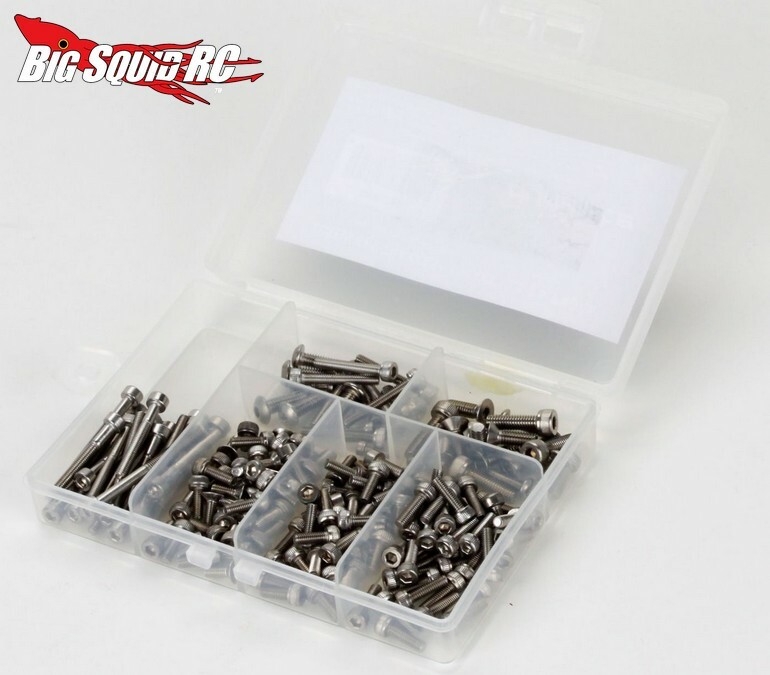 New Stainless Steel Screw Sets From Dynamite « Big Squid RC – RC Car and Truck News, Reviews, Videos, and More! We are big fans of Stainless Steel Screw Kits here at Big Squid. They look good, their heads are much harder to strip than the stock hardware, and lets face it, you can never have enough spares sitting around. On that note, just announced by Dynamite are new screw kits for the Traxxas X-Maxx, Axial Yeti/Trophy Truck/Bomber, and for the Vaterra Ascender. Each kit comes with corrosion proof, high quality T-304 stainless steel screws that are conveniently packed in a re-usable plastic case. The screw sets are priced from $34 to $44 and you can Click Here to check out the official Dynamite website. Click This Link for more Dynamite news on BigSquidRC.